At Terpstra Photography we work very cooperatively not only with our clients but with several vendors and other photographers. There are far too many to list here immediately but in time we will give you a great resource for some of the best resources for your wedding day! The PartyBooth is an open air experience allowing you to include large groups of people. 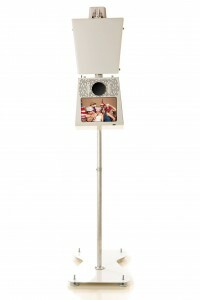 It has become our favorite style of photo booth and is available with or without customizable take-away prints. 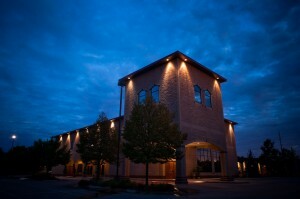 Noto’s is a family owned and locally run business with a world class wine cellar, gourmet capabilities, and the largest granite dance floor in West Michigan. Besides just having a great lounge and table side chef services for private dining, Noto’s offers elegant events tastefully done. Just because they do world class service doesn’t mean you need to pay out of this world prices! We’ve shot more weddings here than anywhere else because they don’t only take care of their couples, they take care of everyone! Julie helps her brides achieve beautiful results affordable by offering a wide range of services including DIY (Do It Yourself) kits and proactive planning. 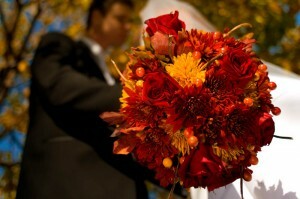 Here is one of Julie’s bouquets from November 2008’s Ada wedding with Chris and Ashley. GREAT WEDDING! Husband and Wife team who met in film school came together to rock the wedding and event industry in Grand Rapids for over a half a decade already. Ann not only has powerhouse quality imagery and production values, she works well with us and has helped us knock some of the biggest bridal parties weddings out of the park over the last few years! Ben is a co-founder of The Photography Team with whom I originally met and shot our first wedding in 2005. We have been partnering on each other events and our studio planning for several years now and offer very similar communication and shooting styles. Karl began shooting with me back in 2002/2003 and was one of my assistants before honing in on his own style. Now Karl runs his own boutique style studio with his wife Nanette but still partners with me in Florida, him in Michigan, or any of the dozens of other places we’ve shot together.